Please find below an extract on a project I am working on (every so often) regarding the sirah. 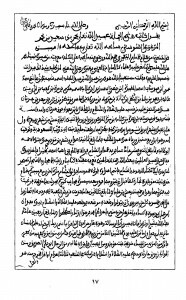 It is a translation of an 11th century (Hijri) Moroccan scholars abridgment of Imam Ibn Sayyid al-Nas’s Sirah work, wherein the author covers the basics which a Muslim should know about the blessed Prophetic biography. May Allah Most High give us the tawfiq to complete this work along with the necessary annotations. 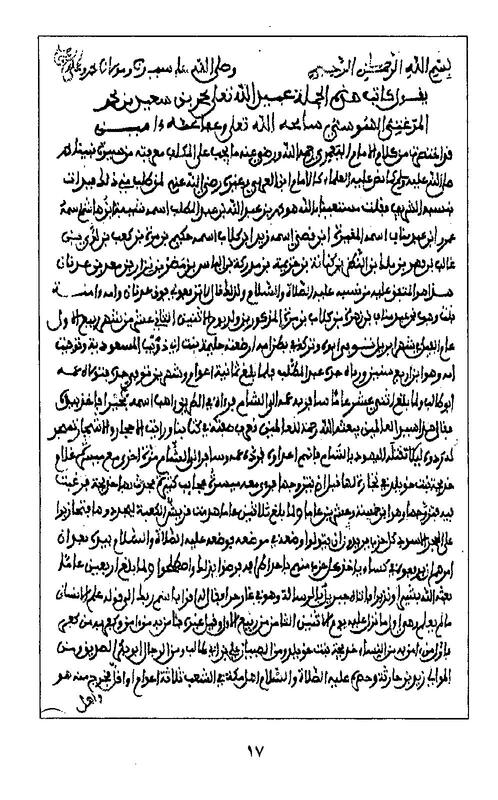 The image above is from the manuscript of the text. Salutations and Blessings upon our Master Mawlana Muhammad and Upon His family and Companions. Son of Adnan. This is his (Upon him be salutations and blessings) agreed upon lineage, it was due to this he said, “Do not raise me above Adnan”. His mother Aminah was the daughter of Wahb son of Abd Manaf son of Zuhra son of Kilab son of Murrah the aforementioned. He was born on Monday on the 12th of Rabi al-Awwal in the year of the Elephant in the month of April. His father passed away whilst he was in his mothers womb, and he was suckled by Halimah bint Abi Dhuayb al-Masudiyyah. His mother passed away when he was 4 years old and he was raised by his grandfather Abd al-Muttalib. When he reached 8 years of age and 2 months his grandfather passed away, and he was taken under the care of his uncle Abu Talib. When he reached 12 years of age he travelled with his uncle to Shaam and he was seen en route by a monk names Buhayra, who took him by the hand and said, “This is the Master of the worlds, Allah will send him and as a mercy to the worlds. We know his description in our book, and I saw the stones and trees prostrating to him. Return him so that the Jews in Shaam do not kill him. Because they are his enemies”. So his uncle returned him. He travelled to Shaam another time with Maysarah the slave of Khadijah bint Khuwaylid to trade for her, this was before he married her. Maysarah saw with him many amazing matters and informed Khadijah who desired to marry him, so he married her, and he was 25 years of age. When he reached 30 years of age the Quraysh demolished the Kaaba to rebuild it but they quaralled ver the black stone, every group wanting to take responsibility for its placing in its place. He (Upon him be blessings and peace) placed it with his hand after he ordered them to raise it on a cloth, each group of them taking a corner of it, and they were content with this and reconciled. When he reached 40 years of age Allah sent him as a giver of glad tidings and warner, and Gibril came to him with Messengership when he was in the cave of Hira and said to him,”Recite in the name of your Lord” up to “He taught man that which he did not know” and that was the first that was revealed to him, on Monday, 8th of Rabi al-Awwal, and other than it has been said. Those who believed in him believed and those who disbelieved disbelieved. And from the slaves was Zayd bin Haritha. He (Blessings and peace be upon him) was blockaded by the people of Makka in al-Shiab for 3 years or less, he and his family exited from it when he was 43 years of age. When he was in the fiftieth year of his life his uncle Abu Talib passed away, and his wife Khadija passed away three days after his uncle. When he reached 51 years of age and 6 months he was travelled by night from between the Zamzam and Maqam to the Bayt al-Maqdis, and ascended from it upon al-Buraq to the heavens, and the five prayers were made obligatory. When he reached 53 years he migrated from Makka to Madina during the night in which the people of Makka agreed to kill him. Allah protected him from them and his friend Abu Bakr al-Siddiq, and they hid in the cave for three nights. He entered Madina on Monday and stayed there for ten years. He (Allah bless him and give him peace) passed away on Monday 12th of Rabi al-Awwal at the time of al-Duha in the month of February, and his age was 63 years. He was buried on Wednesday in the apartment (bayt) of our mother Aisha, and this is where he passed away 14 days after his illness. And there is a difference regarding some of these dates which we have not mentioned. His battles (ghazwa) were 27, and fighting took place in 9 of them. As for his sending out and raiding parties they were 50.